Mouth FX is a temporary oral coloration system designed to safely and effectively color the inside of the mouth. Mouth FX is a temporary oral coloration system designed to safely and effectively color the inside of the mouth. Mouth FX contains a sweet vanilla-mint flavor that is made entirely of FDA food grade ingredients and each color is vegan, gluten-free, peanut-free, sugar-free and cruelty-free. Mouth FX comes in five different colors - available individually or together in one kit (Includes carrying case and carabiner clip). 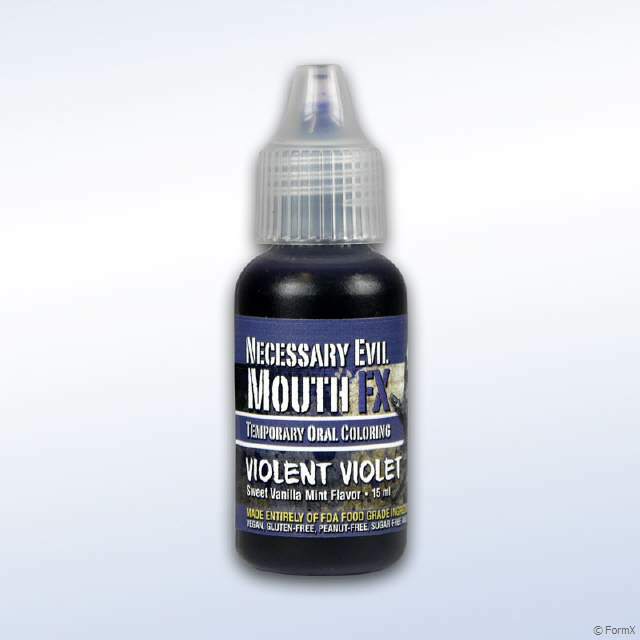 Mouth FX is created by Dan Gilbert and Necessary Evil FX.